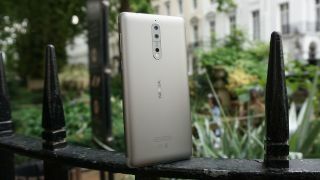 The Nokia 8 can already shoot some brilliant photos, but a new update is about to make it even better. Nokia is in the process of delivering a new Pro Camera mode to the phone on a global scale. While it doesn’t seem to be truly original compared to manual camera modes seen on other capable camera phones, it’s definitely an appreciated update for buyers. Perhaps the coolest aspect of the update is that is can show you what your finished photo will look like in real-time on the screen. For those who enjoy tinkering with settings, you’ll be able to tweak white balance, focus, ISO, shutter speed and exposure. The Pro Camera mode will be available on phones across the globe soon, but Nokia is currently rolling out the update on a country-by-country basis, so don’t fret if it doesn’t show up on your Nokia 8 today.